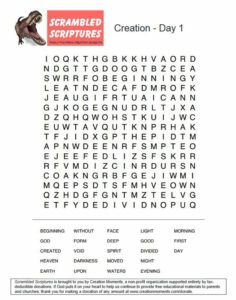 Scrambled Scriptures uses the classic “word search” puzzle to help kids of all ages memorize Bible passages and learn what the Bible says about creation and other Bible-science issues. 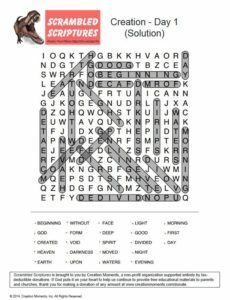 If your children don’t know about “word search” puzzles, show them that they are to search for the words in the grid that are listed below the puzzle … and then draw a line around the letters. The words appear in a straight line and can be found in any direction – left to right, right to left, downwards, upwards and even diagonally. On this page you will find an ever-growing list of puzzles and their solutions. Click on the puzzle link to view or print the puzzle. If you’re stuck, click on the solution link. 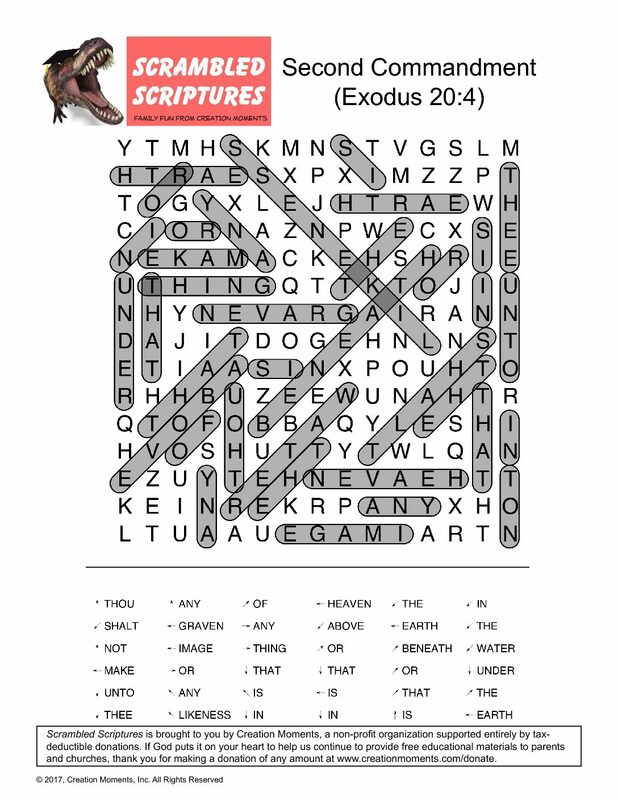 We hope that you and your children enjoy our Scrambled Scriptures puzzles. 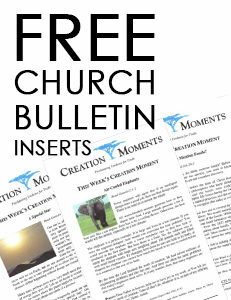 If you have any word lists or Bible verses you’d like to suggest, please send them to info@creationmoments.com. Sign up to receive Scrambled Scriptures in your e-mail every Saturday! It’s fun for the whole family from your friends at Creation Moments. Click on the links to view and print the puzzle and solution. Scrambled Scriptures is brought to you by Creation Moments, a non-profit organization supported entirely by tax-deductible donations. 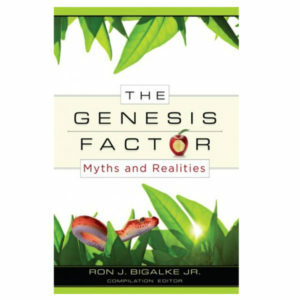 If God puts it on your heart to help us continue to provide free educational materials to parents and churches, click here to donate.